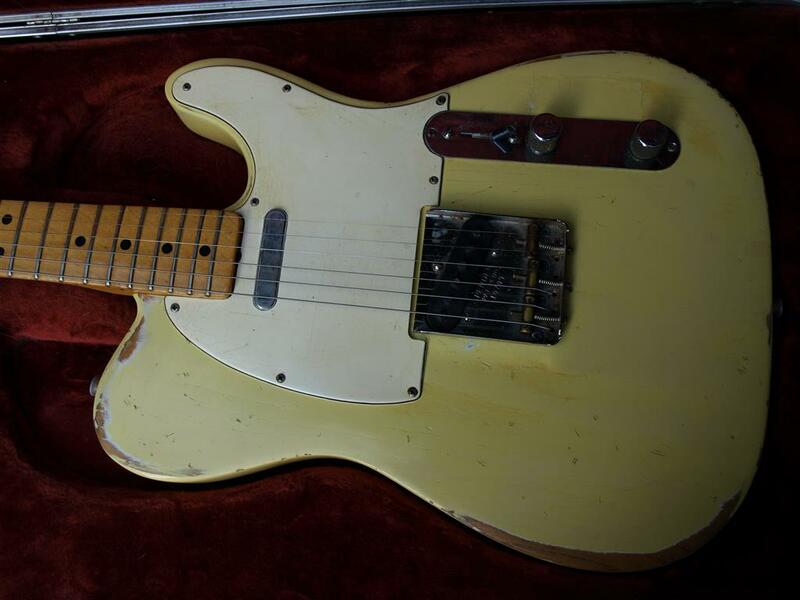 If Frankenstein owned a Tele this would be it. First things first. 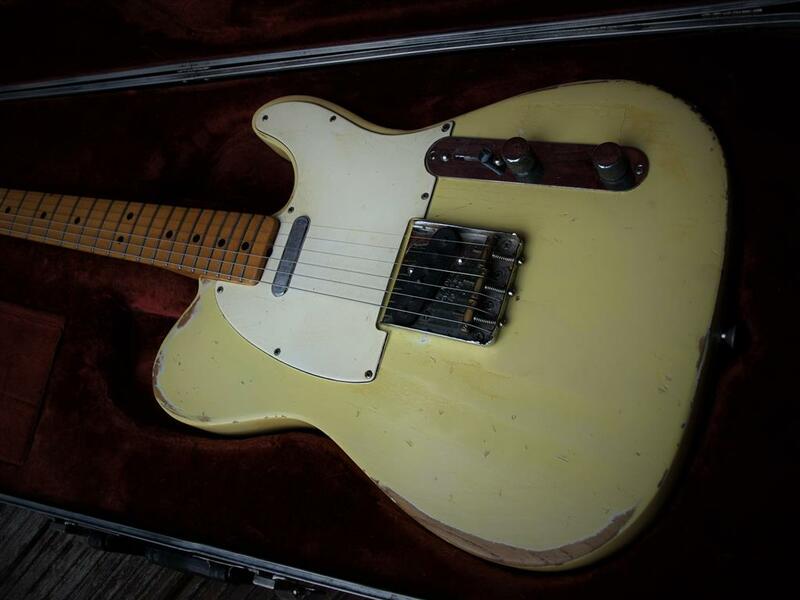 I love this guitar and its close to staying in the personal collection. I could write all day about its quirks and possibilities but better to get the facts out and then make your own judgment. 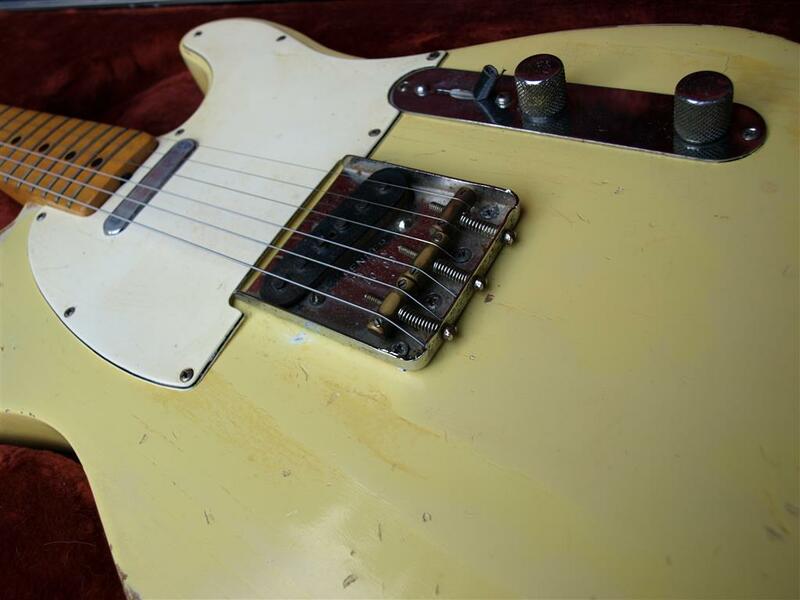 Apart from the more obvious road worn appearance this little Tele is a real wolf in sheep’s clothing. 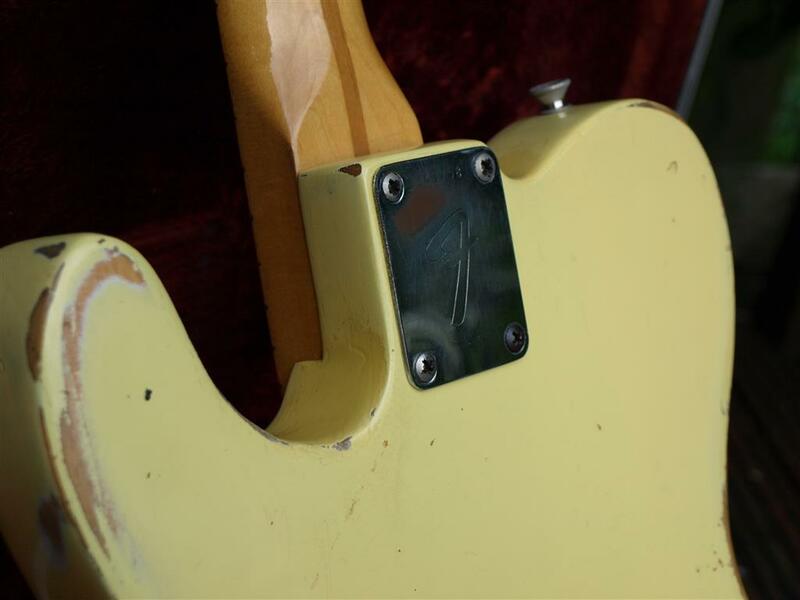 Neck plate dates from 1968, and that matches to the shape of the neck pocket, but many years of playing and modifying have left the body of indeterminate age. 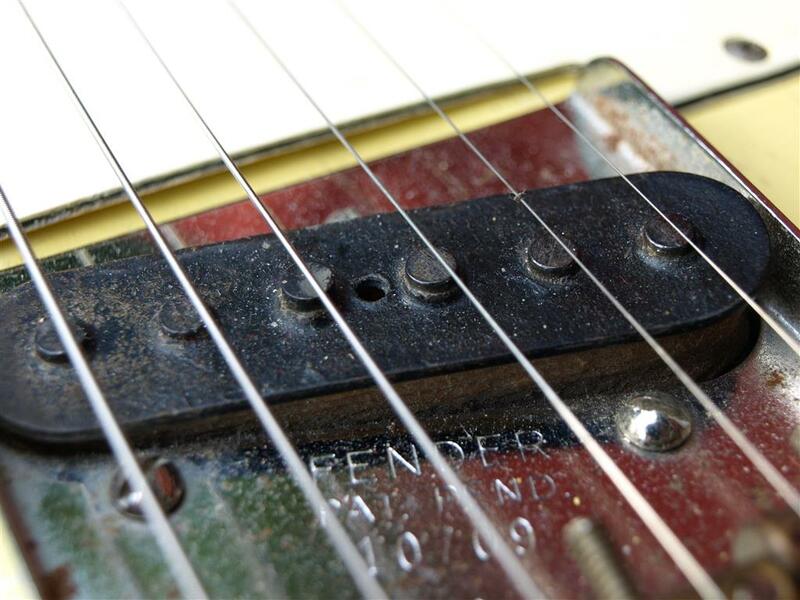 Ink stamps place’s the neck around 78 but the neck has a lot of specifications that would appear to make it an early 70s neck, circa 72. 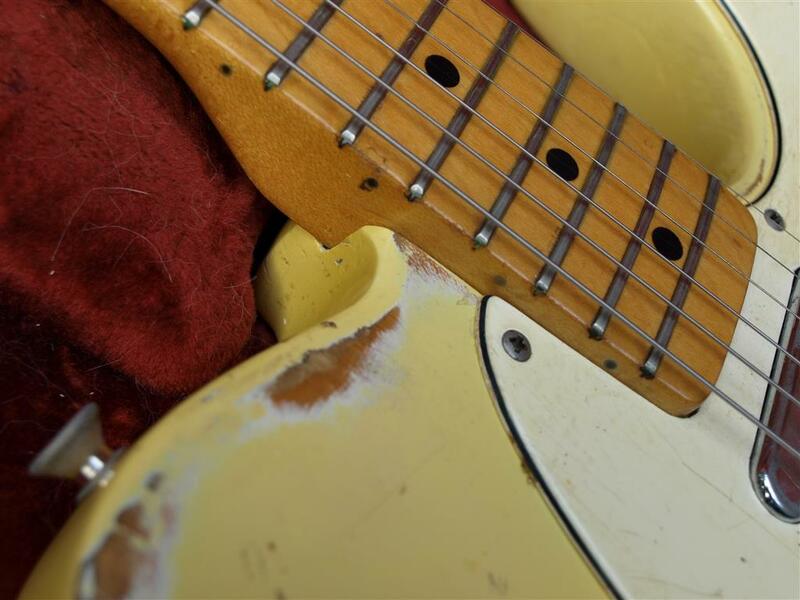 So no conclusive dating on this one, however this is an old guitar and has seen a lot of action over the years. 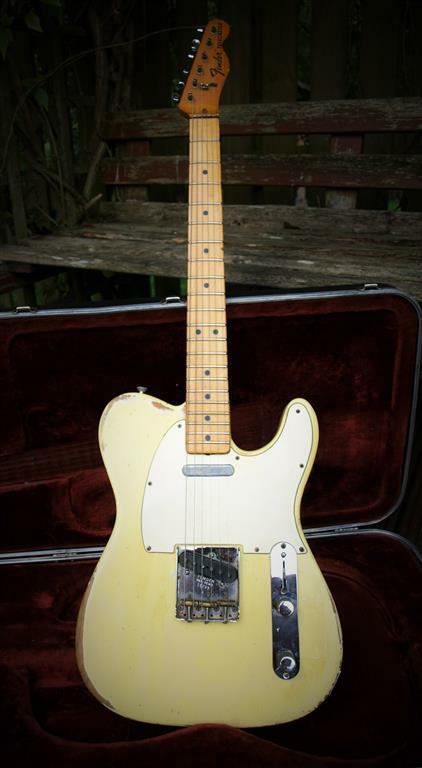 It’s been heavily modified and battle scared at various points in its life and I’m sure it would have us all enthralled round an open fire with a dram or two if it could tell the tales, but what this Tele can do is Sing better than any every other Tele I’ve played. In a band set up, this is the guitar that cuts through the mix like a knife. At some point in the vale’s of time this guitar has been assembled form the best parts someone could get their hands on. Its had a fair bit of money and time thrown at it, and it dam well shows. 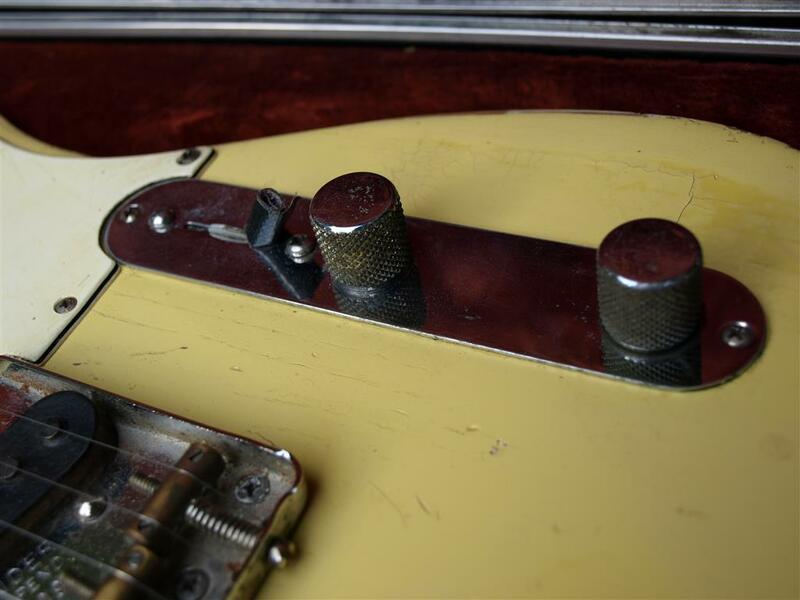 Currently sporting a well cut and set up brass nut, Fender Custom shop re-issue bridge plate and saddles, Hooked up to a set of Fender custom shop reissue R1 pickups (some of the best sounding pickups fender ever made). Pic guard looks to be period correct for early 70’s. 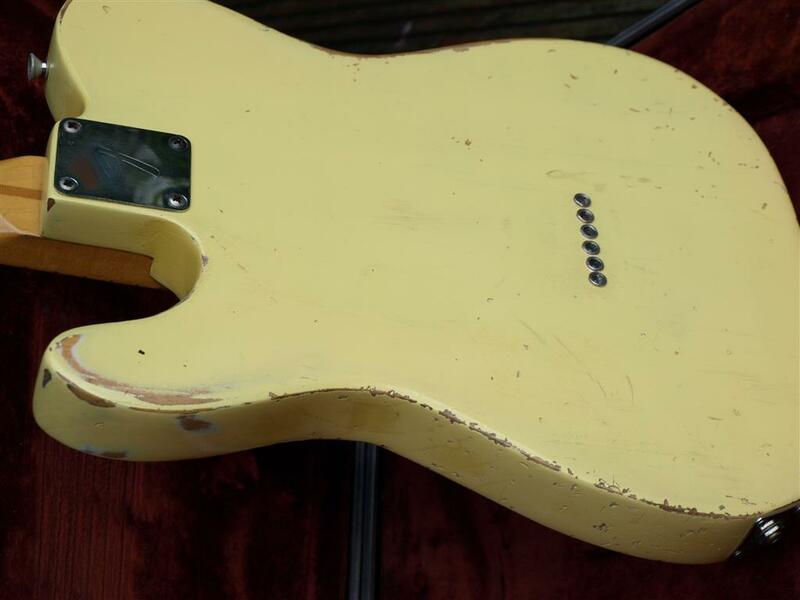 Maple neck with a maple board cut with the more original 7 and a quarter neck radius, rather than the more standard nine and a half radius more commonly seen in the late 70’s and 80’s Tele’s. 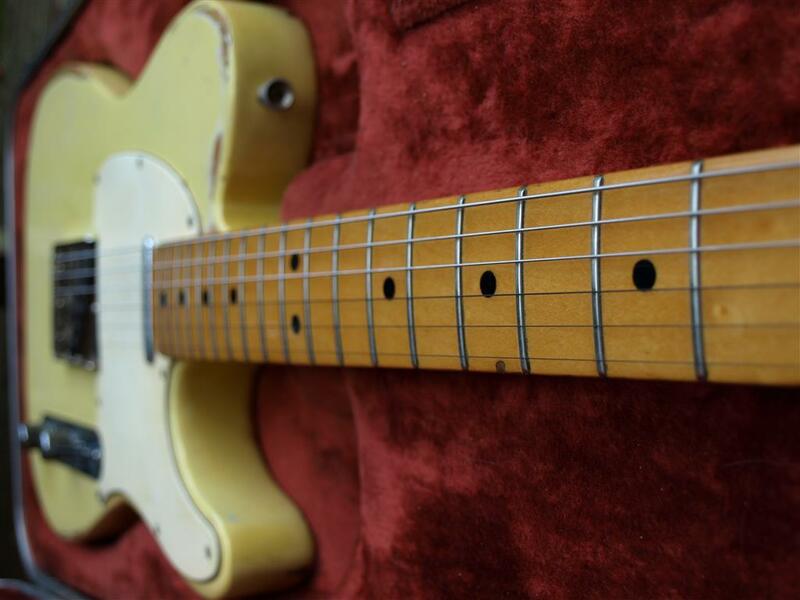 Re fretted and refinished, again long long ago. 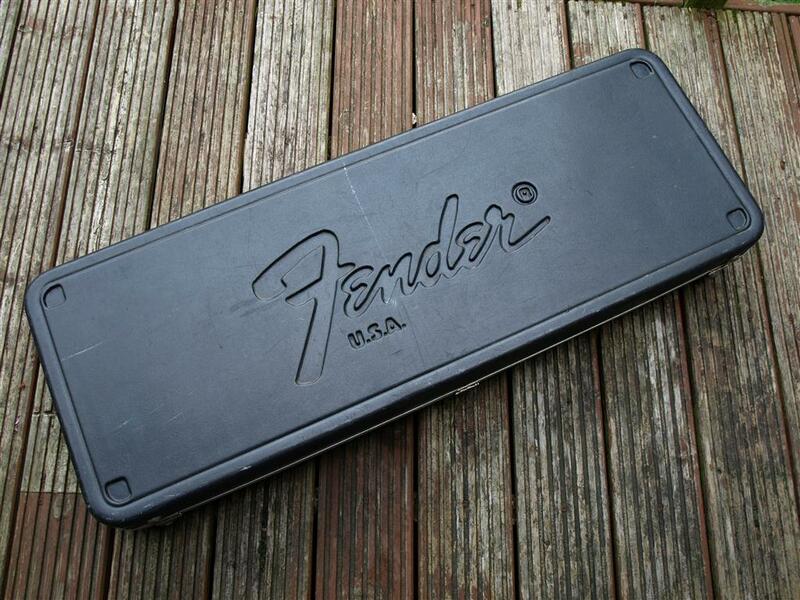 Really comfortable and fast neck profile, this guitar pleasantly surprises most of people who pick it up. 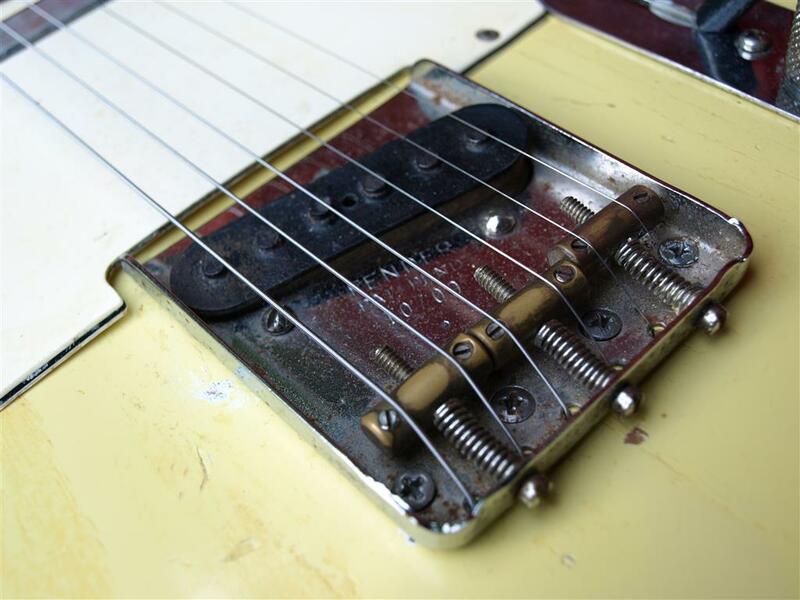 Under the hood the pickup routs have been modified at some point to accommodate two humbuckers and its non original electronics, but has a old period 3 way selector switch dates from around 73 to 80. 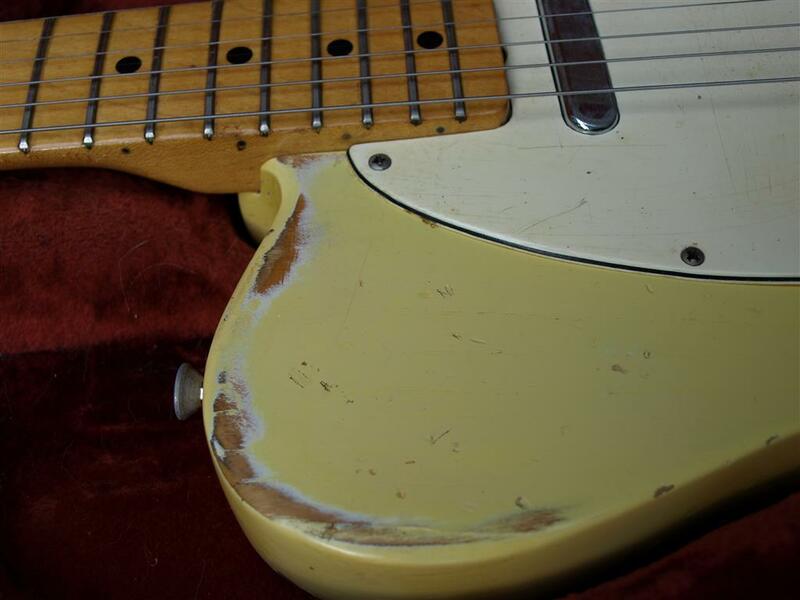 It’s suffered some scuffs and body damage to the control cavity and jackplug, along its travels. 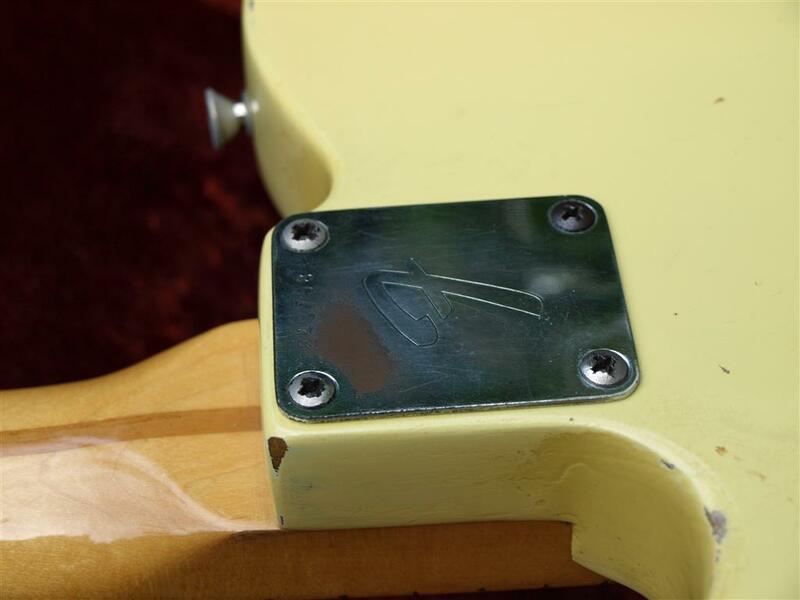 Repaired long ago and it now sports a Gibson style jack socket. 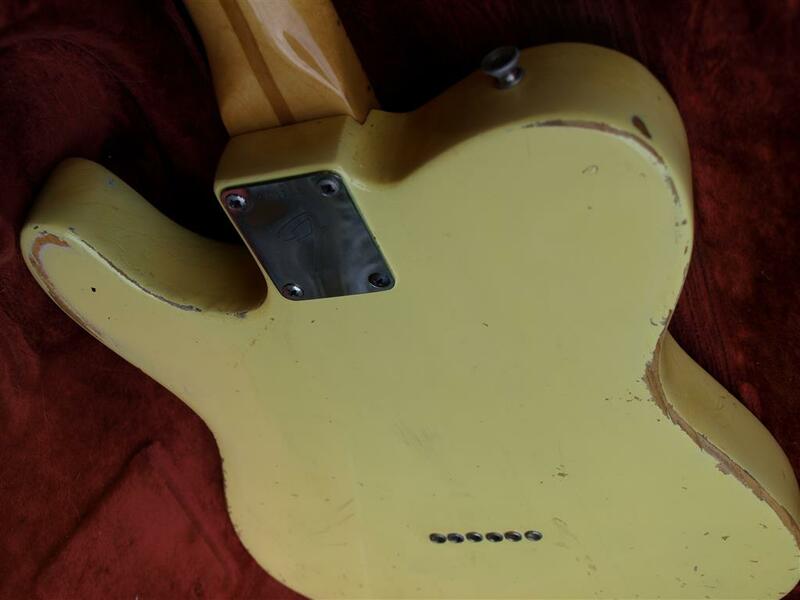 The repair on the control cavity can be easily seen as aging or the refinish highlights the repair, however I think it should be left as-is. In my humble opinion it adds character. This is a guitar that has been played to death, probably for good reason, as it sounds so dam good. 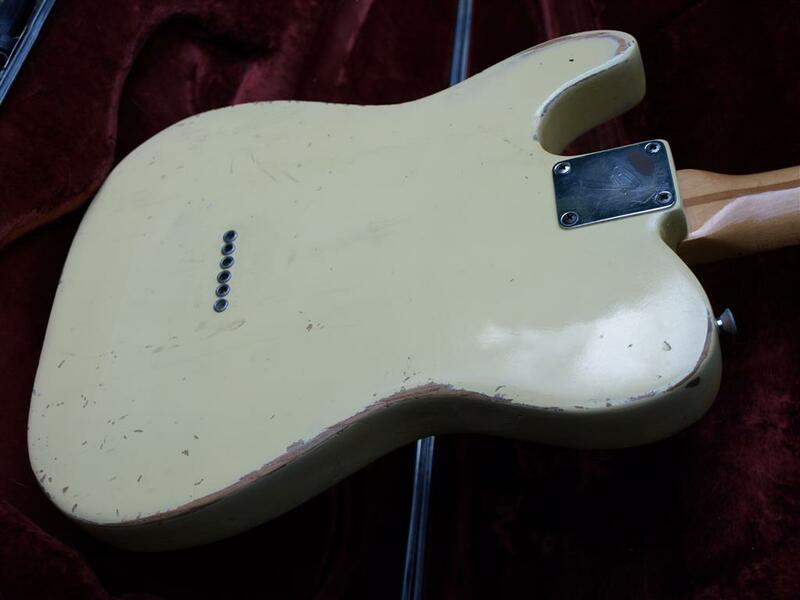 The Patina looking real rather than fake so if this is your thing come by and check her out. 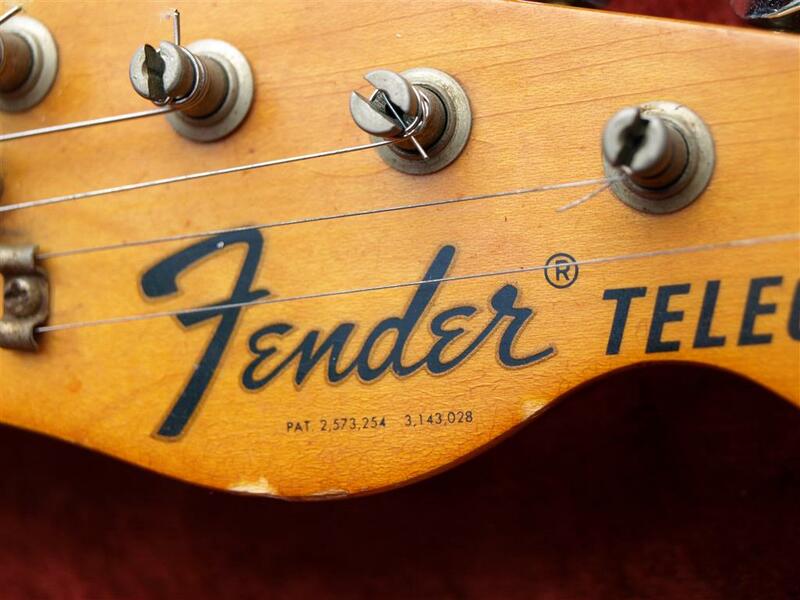 Everyone who plays this guitar ends up not wanting to put it down, so regardless of a definitive age it’s a fantastic example of how a good Tele should sound and feel. 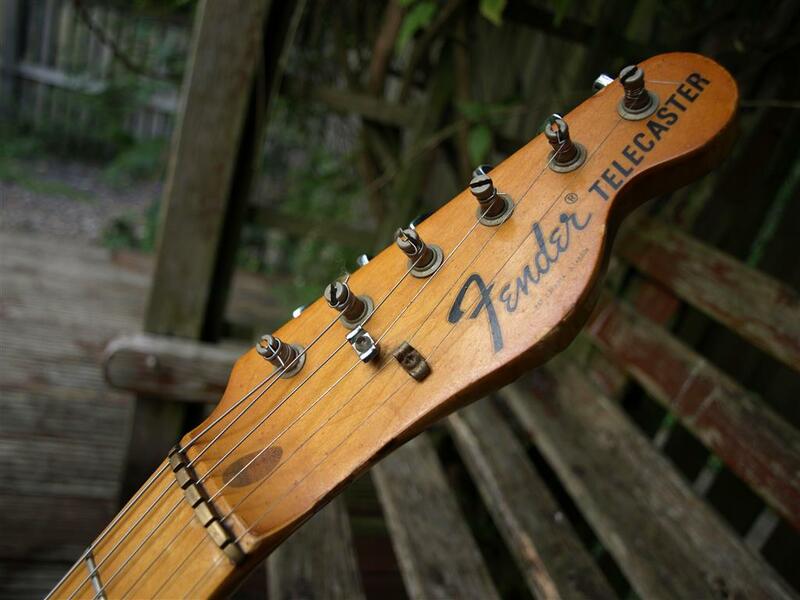 In the early 90’s nobody wanted old Telecasters so they were picked up for peanuts and commonly modified, unfortunately no one predicted the resale value escalating like they did. So to be honest its getting hard to find mint examples from that period in time, well for reasonable money. 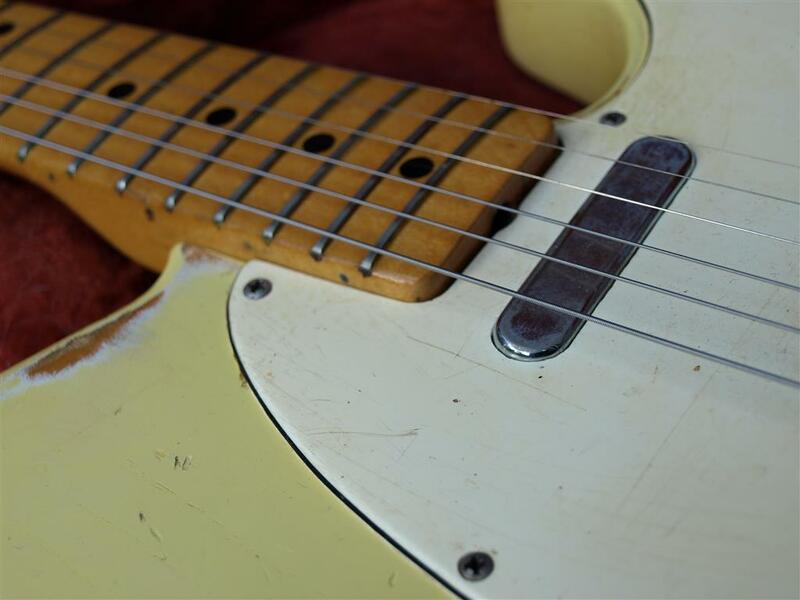 So most have been modified at some point, however if you want to let your hands and ears be the judge of a good guitar, then this might be the one for you. 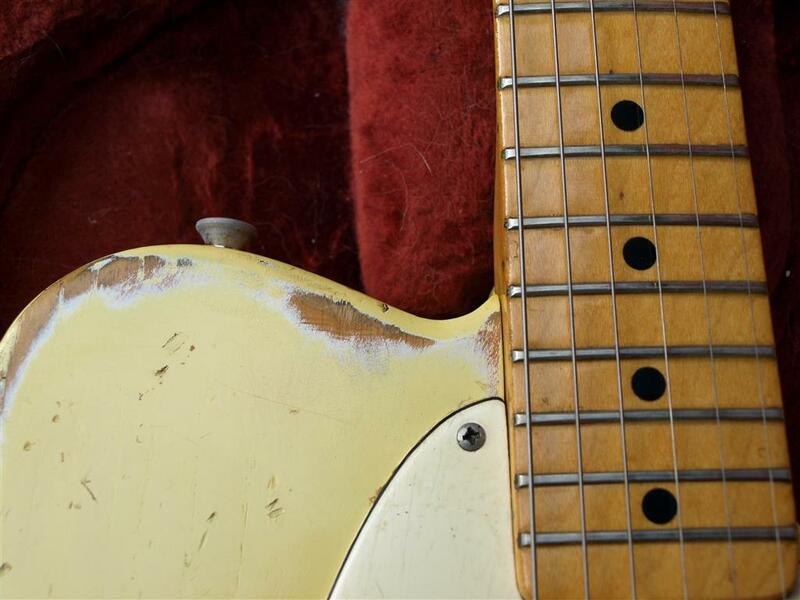 It costs half the price of a collector grade instrument from the same era and you can actually play the dam thing without needing extra insurance. Good residual, and it isn’t trying to hide anything. 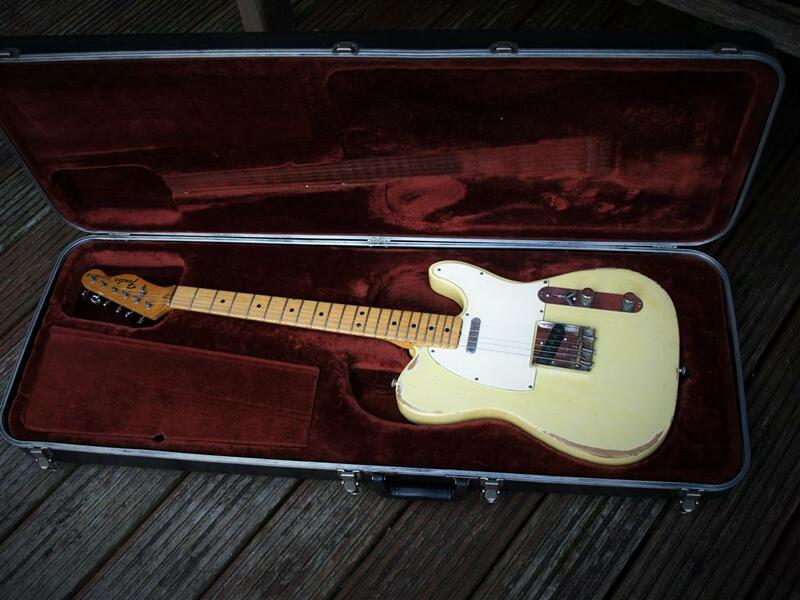 I will be Sad to see this one go, so take advantage of my indecisiveness and bag one of the best Badass playing and sounding Telecasters you’ll ever have the fortune to meet. 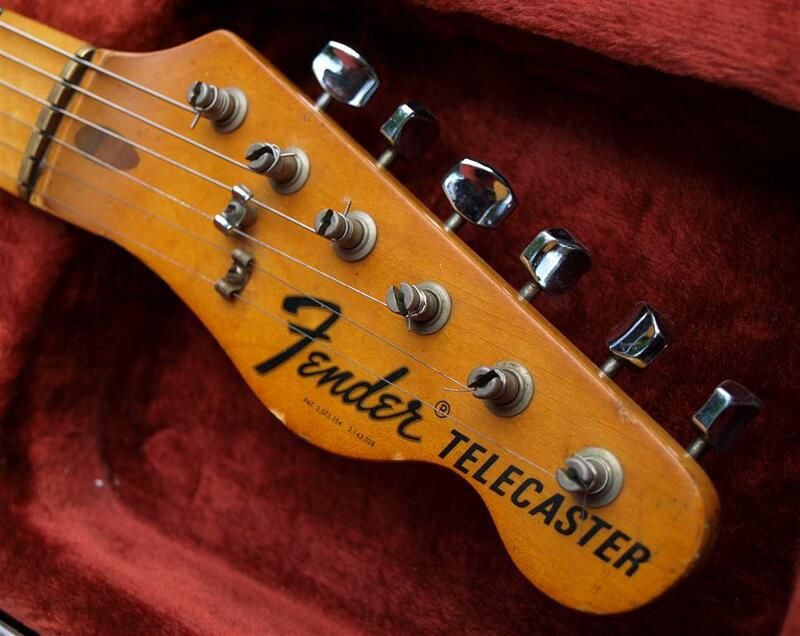 Just a great vintage Telecaster. 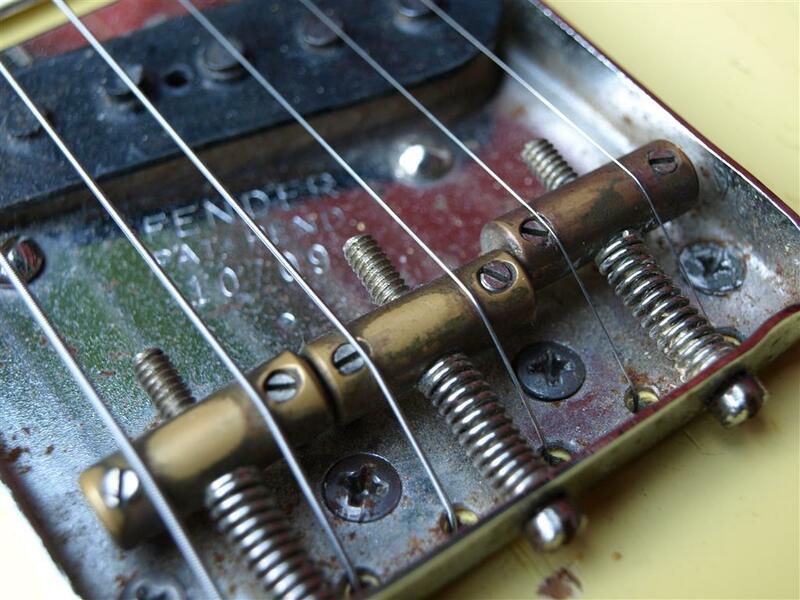 At Unique Guitars we hate the hum drum. Our goal is to provide one of the most interesting and colourful ranges of instruments and services available. © 2016 Unique Guitar. All rights reserved.